I recently failed to follow the advice that Charlie and I offer in The Trusted Advisor Fieldbook about talking price. I hate it when that happens. And while I don’t like admitting it much either, it’s therapeutic to do so … and potentially helpful for you. So here I am. Here’s what we say (distilled from the book): For many in business talking about price is at best awkward; at worst a disaster. We suggest that amounts to mental torture of customers. Who wants to be subjected to an excruciating monologue, while increasingly dreading the final answer, culminating in having to say no to a salesperson because you honestly cannot afford them? No one we know! 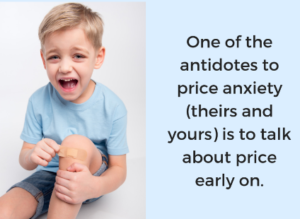 In the book, we go on to suggest that one of the antidotes to price anxiety (theirs and yours) is to talk about price early on. Here’s what I recently did instead: I dipped my toe in the water and then ran away from the pool. Early in an exploratory video call with a possible new client who maybe wanted to hire me as a speaker, I made an indirect reference to our “all-in” daily fees for keynotes and workshops. Then I changed the subject and cleverly asked a question about their business. I didn’t overtly stutter or stammer, but I sure did deflect. Do you see what happened there? I put the onus on her to bring up the potentially difficult topic. Here’s what I wish I had done: In hindsight, I wish I had mentioned those all-in daily fees and then immediately followed with, “And I bet you’re wondering what those fees are.” We could have addressed it right then. The real lesson in all of this: The big issue underlying all of this was my own discomfort throughout our exchanges, up to and including the call. Rather than deal with all of that, I rationalized, I defended (to myself), and I side-stepped. The result: Yucky feelings for me for sure, and likely the same for them. Next time I’ll borrow a page or two from my own book. This week, think about a recent time when you didn’t handle price as swiftly and effectively as you should have. What would your do-over sound like? 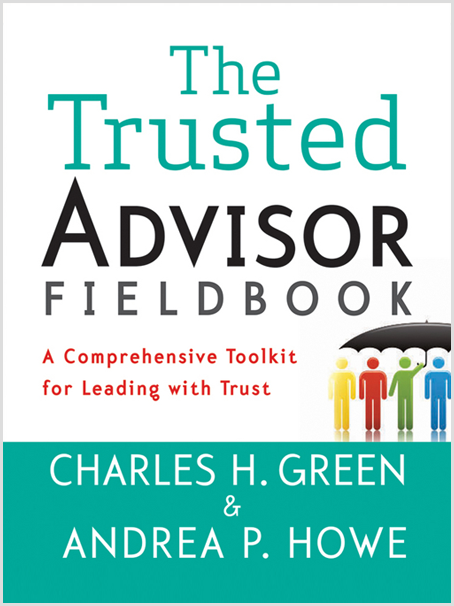 Speaking of price, read more about how bad thinking can lead you to discount your prices, from our friends at Trusted Advisor Associates, or discover the truth about losing on price in Chapter 15 of The Trusted Advisor Fieldbook.